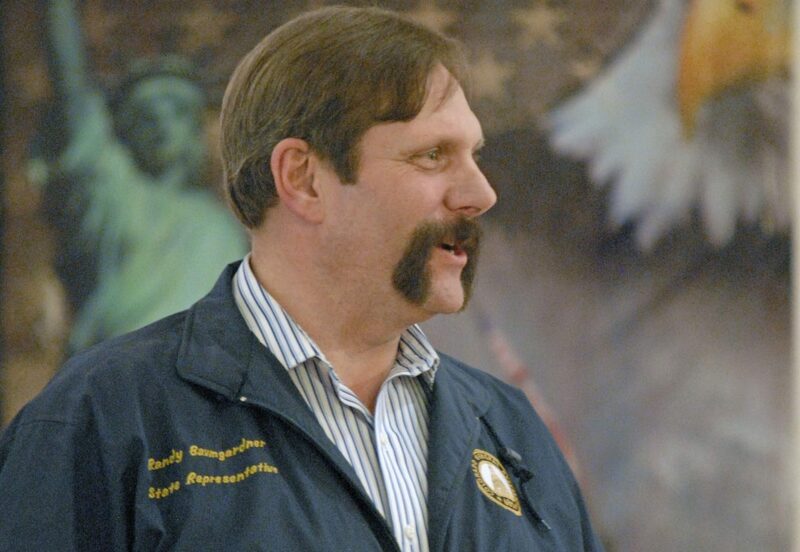 Randy Baumgardner pictured in 2012. DENVER — Colorado’s Republican-led Senate voted late Monday against expelling a GOP senator accused of groping a former legislative aide, with opponents of expulsion arguing there isn’t enough proof to merit the ultimate sanction. Senators voted 17-17 to defeat the measure to expel Sen. Randy Baumgardner, who represents a rural northwest Colorado district. During Monday’s debate, Baumgardner apologized to anyone he offended but reiterated his denial of any wrongdoing. He was the second Colorado legislator to face expulsion this session over sexual misconduct claims. On March 2, Colorado state Rep. Steve Lebsock was expelled following complaints he harassed or intimidated five women, including a fellow lawmaker. Lebsock’s ouster came after Arizona Republican Rep. Don Shooter was expelled Feb. 1 over misconduct claims. A California lawmaker resigned before debate on his expulsion could commence. The Colorado Legislature is one of many statehouses nationwide grappling with a tidal wave of sexual misconduct allegations following the rise of the (hash)MeToo movement. Last fall, millions of women shared their experiences with sexual harassment or assault on social media. In all, five Colorado lawmakers have been formally accused of misconduct in recent months. A third-party investigator had determined that the former aide’s claims against Baumgardner were credible. The aide said that Baumgardner grabbed and slapped her buttocks on more than one occasion during the 2016 session. Baumgardner denied it, but he agreed to step down as chair of the powerful transportation committee, and Senate President Kevin Grantham had deemed the case closed. Democrats argued that expulsion would send a message to victims, interns and aides that complaints are taken seriously. A two-thirds vote was needed to expel. Sixteen Republicans and one independent voted against expulsion; all 16 Democrats and one Republican voted to oust Baumgardner. Baumgardner didn’t vote. Both Baumgardner and Grantham were criticized Monday by Democrats — Baumgartner for his conduct and Grantham for not exacting more severe punishment. Republicans criticized the investigator’s report as lacking evidence and sufficient certainty to merit expulsion. He said Monday he was torn by the issue but that “it’s just not there” when it comes to the investigator’s report and a burden of proof meriting expulsion. “I will tell my children and my grandchildren that standing up for victims is the best thing you can do, and standing up for justice is the best thing you can do,” Grantham told his colleagues. “Our work is not done until everyone who passes through this building can do so knowing that they will be treated with respect and dignity,” said Senate Minority Leader Leroy Garcia.